Yet, of all the institutional trappings of life as a salaried academic, I want to suggest that peer review is perhaps the least problematic from an anarchist perspective. This is not to say that peer review processes are unproblematic, nor even that it is entirely clear what we mean when we refer to ‘peer review’. Over the past few months, I have taken part in several processes that could be defined as ‘peer review’, and it may be worthwhile reflecting on them. 1. As the Associate Editor of an academic journal, I read submissions and decide whether they are worth sending out to review and who I can approach, from the Editorial Board and the wider academic community, to review them. Although the review process itself is ‘double blind’, at the point at which submissions come into my Associate Editor inbox they are not anonymous. I do not know the author, nor anything about their background or status. My choice of reviewer relies on my familiarity with people working in the field and their intellectual expertise. Philosophy of Education is a field with rather fuzzy disciplinary boundaries, and while there are some pretty easy cases (some colleagues tend to get all the submissions about school choice, and others get all the papers on virtue ethics) there are complex considerations. There is the notorious analytic/continental divide which, even though many scholars work across these supposedly distinct traditions, means that I will not send certain styles of paper to certain reviewers as I know they will not be sympathetic to them. There are cases where I may feel it would be good to get the perspective of a colleague from a different discipline; there are papers that discuss the work of thinkers who have received very little attention within the discipline. In such cases, I may approach a PhD student working on this theorist. It is a good way for students to gain experience, and someone who has spent several years of their lives immersed in the writings of a particular theorist is likely to be a better judge of the intellectual quality of a paper on their work than an established scholar who may merely have a passing familiarity. The process of selecting reviewers and making a decision based on their reviews requires a degree of professional judgement, drawing on experience and accumulated scholarly knowledge. There is also a fair degree of luck and serendipity involved. If I have recently attended a conference where someone gave an excellent paper on a particular topic, they may come to mind when I receive a submission on this topic, although this, of course, is no guarantee that they will deem it worthy of publication. A paper that one reviewer regards as unsalvageable could receive a recommendation for ‘minor corrections’ from another reviewer. Anyone who has been on the receiving end of reviewers’ comments knows that this is far from an objective process. That does not mean, however, that it is not rigorous. It also does not mean that it cannot be collegial and non-hierarchical. As an Associate Editor, I obviously have a degree of power within my field, but this is not a straightforward reflection of intellectual expertise, nor does it translate into any material or institutional privilege. To the extent that there is any exploitative relationship in play here, it is between the academic publishing companies and the editorial boards and reviewers of academic journals, who do this work for nothing. It is certainly not the case that the peer review process is inherently hierarchical or exploitative. In cases where editors use their power to accept or reject papers without any consultation with their colleagues, they are abusing what can and should be a collaborative process of helping authors to improve their papers and bringing important scholarly work to an interested audience. Similar collaborative processes can and of course do go on outside the circumscribed spaces of academic journals, but in the same way as publication in peer-reviewed journals is not the only (or even a necessary) indicator of intellectual rigour, nor is it the case that the importance attached to such journals by the increasingly competitive and output-focused environment of universities means that they cannot provide spaces to support and enable genuinely collaborative, collegial and critical intellectual work. 2. I have been working, for an embarrassingly long time, on a proposal for a piece of funded research. Having trained and worked in a non-empirical discipline, I find the whole process of applying for funding strange and terrifying. Luckily, I have several colleagues who are very experienced in writing research bids. As part of the institutional process of applying for research funding, all proposals are internally peer reviewed. I have informally approached some colleagues whose intellectual work I respect, whose judgement I trust, and who I know are experienced in dealing with funders. Their feedback on my drafts was invaluable in helping me understand how to craft my proposal in a way more likely to appeal to the funder, and alerting me to aspects of my research questions or theoretical perspectives that I may have overlooked. There is nothing inherently hierarchical or competitive about this process. Some of the colleagues who I have sent drafts to are more junior than me in terms of their academic position, some are more senior. Many of them share my cynicism about the whole ‘game’ of applying for research funding. Once proposals are submitted, there seems to be a general agreement that the process of deciding what gets funded is a bit of a lottery, and one in which political agendas, policy priorities and arbitrary subject boundaries play a significant role. Yet perhaps precisely because everyone seems to feel similarly at the mercy of an increasingly competitive and brutal system, colleagues on the ground seem more willing to collaborate in finding ways to survive in and work the system. 3. I am asked to review a paper submitted to a journal outside my own academic field that addresses an issue on which I have written. I read the anonymised submission and feel that the author is simply taking on board a whole body of work without questioning its underlying assumptions or engaging with any critical literature on the topic. I phrase my comments to the editor in a way that I hope will help the author to strengthen the paper. I know, as a recipient of similar comments, that they can sometimes be dispiriting. I also know that reviewers seeing things through a particular theoretical lens are sometimes tempted to explain to the author how they could have written a very different paper, and may be blind to what the author is actually trying to do. I am certainly guilty, given my own intellectual interests, of being quick to point out to authors that they have ignored an entire body of anarchist scholarship, and the line between trying to educate colleagues and trying to engage intellectually with their work may sometimes get a little blurred. But it is also part of our professional formation as members of an academic community that we learn how to respond to reviewers’ comments; when to politely ignore them, and when and how to take them on board in a way that does not compromise our own intellectual position. Part of this process also involves understanding and reflecting on the ways that power relationships operate within our academic spaces, and what we can do to challenge them. 4. I am on the review panel for an international conference. Applicants have to submit a full paper and all submissions are reviewed anonymously by three reviewers. There are over two hundred papers submitted and we do not have the resources to allocate them according to intellectual expertise. While we have to use our professional judgement and scholarly expertise in deciding whether or not to accept a paper, the criteria are somewhat different from those used in deciding whether or not to publish a paper in the journal. ‘Revise and resubmit’ is not an option, and I am inclined to accept papers that may be seriously underdeveloped on the basis that they will make for an interesting and lively conference session. There are several cases of disagreement between the reviewers. We exchange reflections over email about the intellectual merits or weaknesses in the papers, and manage to reach a consensus. This process is fairly informal and subjective, but rigorous in the sense that we engage in thoughtful discussion, and there is nothing hierarchical about it; the seniority or academic standing of different members of the team does not seem to play a significant role in the decision process. It is not unusual, once the names of the presenters are revealed in the conference programme, for people to be surprised to find that well-established academics have had papers rejected and that students or junior researchers have submitted some of the most well-written and original papers. While there have been cases of senior academics acting affronted when their paper is rejected, in my experience this is not a common response. I am not trying to paint an idealistic picture of the self-managed peer-review processes used by many learned societies and academic journals. Of course there is a great deal of disciplinary gate-keeping that goes on as part of this process. Many academics have personal and ideological agendas and rigid views about intellectual traditions and positions that they try to police. Crucially, there are power dynamics at play within institutional structures and academic fields that reflect, to a great extent, the structural hierarchies and power relations within society. Academic privilege, like any other privilege, maintains itself by keeping certain voices, certain positions and certain bodies out. But critical, politically engaged scholars in academia can play an important role in addressing the manifestations of privilege and inequality within their own institutions and academic communities, whether by making Editorial Boards and conference panels more diverse or by encouraging and engaging with work by marginalised scholars. Whereas feedback received as part of the kinds of peer review process discussed above can be hurtful and discouraging, the ostensible goal of this process is an inherent part of what it means to be a member of an intellectual community: namely, to improve the quality of intellectual debate, to expand the boundaries of the discipline, and to inform thinking, discussion and research on socially significant issues. My experience of this process, however fraught, is profoundly different from my experience of the internal review processes implemented by UK universities as part of the run-up to the Research Exercise Framework (REF), where reviewers’ comments serve the purpose not of furthering intellectual debate or helping authors to improve their writing, but of ranking people’s already-published work on a 4-point scale, defined in generic terms that are supposed to reflect objective indicators of quality. Why four? Why is ‘internationally excellent’ lower down than ‘world-leading’? How can anyone know whether a piece of work is ‘recognised internationally’? While the academics required to implement this mysterious system may have developed some way of making these judgements, they must surely also recognise that this process is distinct from the informal practices that constitute their own intellectual communities. Disciplines and intellectual communities thrive when they can contain very different approaches and styles, and when they allow these to come into conversation with each other. There is no doubt that the contemporary university is a space where it is becoming increasingly difficult to pursue critical, open-ended intellectual enquiry. This is not just because of the dominance of accountability mechanisms and performance indicators, such as the REF, that have imposed an increasingly narrow and reductive idea of what counts as research, let alone ‘good’ research, but because of shifts in structures of funding and governance that mean increased workloads and growing numbers of casualised and precarious staff make it both risky and practically difficult to find spaces for thinking and conversation, let alone political activism. This is not to hark back to some golden age of the university, for universities have always been intertwined in social and economic relationships of power. 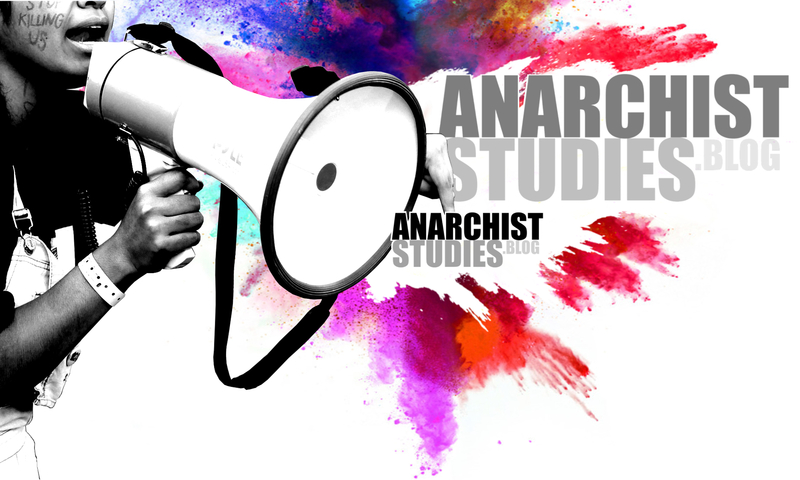 Many anarchists would agree with the critical points made by Shukaitis, Jun and others about the inherently problematic position of anarchists and anarchism within the academy. But as Shukaitis argues, ‘the realization that anarchism can never really be of the university does not preclude finding ways to be in the university and to utilize its space, resources, skills, and knowledges as part of articulating and elaborating a larger political project’. These are issues that anarchist scholars grapple with daily in their teaching and research. By focusing on just one aspect of university life, that of peer review, I hope to have shown that, when it comes to this central feature of academic practice, there are ways in which we can enact, in James C. Scott’s words, ‘forms of informal cooperation, coordination, and action that embody mutuality without hierarchy’. Although there is perhaps nothing distinctively anarchist about these processes, this emphasis on mutuality without hierarchy, and on the kinds of decentralised, horizontal forms of peer review that I have described above, is certainly in keeping with the main principles of anarchism as a political movement and a social ideal. These forms, Scott argues, are ‘a central feature of are the quotidian experience of most people’, and are still, I think, the quotidian experience of many academics. We need to resist their colonisation and distortion by the increasingly dominant language and practice of more centralised, top-down forms of ‘quality assurance’, ‘expert review’ and ‘benchmarking’ which are harnessed to an inherently competitive ideological agenda of commodification and marketization and which, arguably, are not actually forms of ‘peer review’ at all. Jun, Nathan (2012) “Paideia for Praxis: Philosophy and Pedagogy as Practices of Liberation”, in Robert H. Haworth (Ed. ), Anarchist Pedagogies; Oakland: PM Press. Scott, James C. (2012) Preface, Two Cheers for Anarchism; Six Easy Pieces on Autonomy, Dignity and Meaningful Work and Play; Princeton: Princeton University Press.